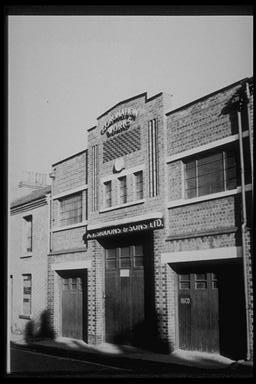 The east side of St Saviours Road showing Nos; 14-16, showing the frontage of Siddons Packaging as it was re-built for the Queen's Coronation in 1952, hence the name Coronation Works. Photographed 1970. 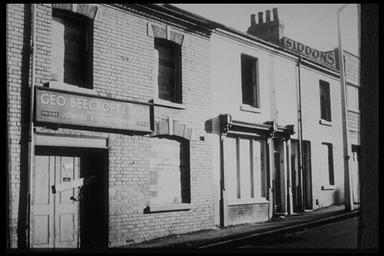 Nos; 8- 12 St Saviours Road. Photographed 1970. 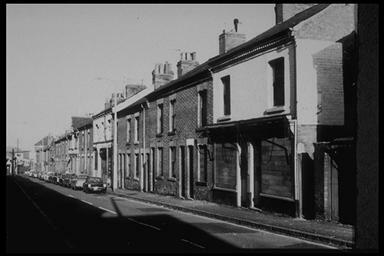 View along St Saviours Road showing houses nos; 4 -52. Photographed 1970. 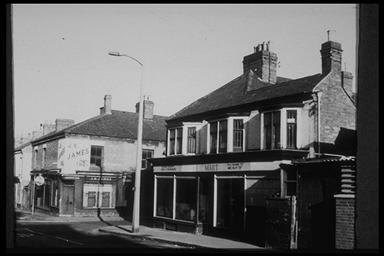 St Saviours Road and the corner with Charnwood Street. Photographed 1970. 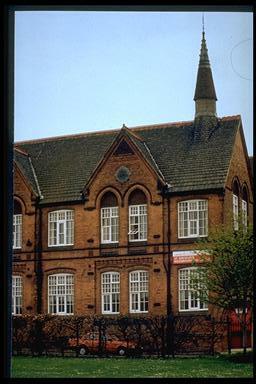 St Saviours Neighbourhood Centre / School. Photographed 1994.